It seems like a minefield with so many manufacturers each offering lots of different models of camera. It can be very difficult to decide what to buy. 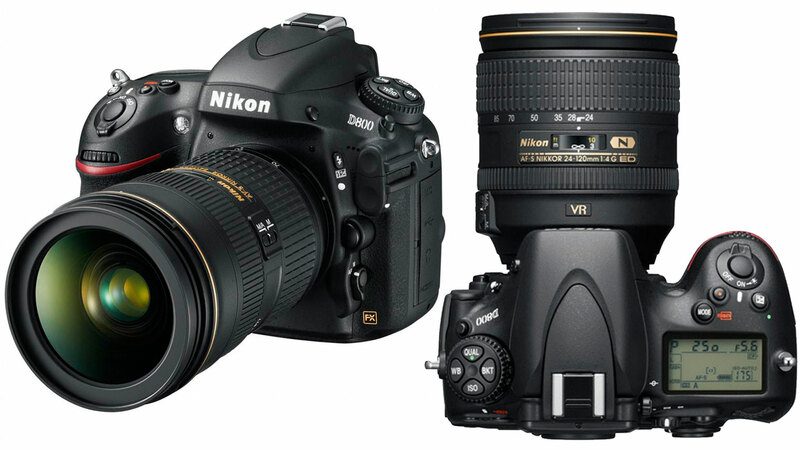 The first choice is whether to go for a mirrorless camera or a Digital SLR. Essentially they both do the same thing (ie take photos) and do so with pretty much the same controls (eg aperture, shutter speed and ISO) and it is really only the way the light passes through the body that is different. However, they both have some pros and cons. It’s beyond the scope of this article to compare the two types (hopefully we’ll revisit that another time) but for now at least I would still recommend a DSLR for a beginner as unless you are spending a lot of money on a top mirrorless camera then DSLR’s are generally simpler to use and better value. Often the choice of which camera to buy comes down to what the local camera shop or your favourite internet store has on special offer at the time. Obviously I might say buy the best you can afford but while budget is of course a big consideration there might still be a choice of three or four that are the right price and you might need a helping hand as to which is best for you. In fact spending more on your camera may not necessarily be the right thing to do. Pretty much any DSLR these days is capable of producing images that most people will find perfectly acceptable. The image quality is now taken for granted. Of course, the top cameras are going to produce better image quality than the models further down the range, but in general spending another £100 on the next model up the range is not going to make that much difference. To see the image quality difference you would probably need to spend more like £1000 more. In fact, there is an old adage that says ‘spend your money on lenses rather than camera bodies’. The meaning here is that a great lens on an average body will generally produce better quality images than an average lens on a great body. Nonetheless, there are entry level cameras, pro-sumer cameras, semi-professional cameras and professional cameras. These distinctions are largely marketing speak but most manufacturers’ ranges loosely follow this sequence and your budget is going to dictate where you sit in that range. What’s interesting is that it is nothing to do with the complexity of the camera. It is a mistake to think that more upmarket cameras are more complicated and in fact it is quite the reverse so don’t think “I just want something simple for beginners” and buy the bottom of the range model. All of the cameras will do the same thing, ie take good images using standard photographic technique and methods. It’s just that you need to learn what those techniques are. What you tend to find is that the cameras at the lower end of the range have many more features than those at the upper end. This is because the higher models are dedicated to optimum image quality but they do require a certain (minimal) amount of photographic knowledge in order to get the best out of them. The lower models have loads of extra features that are intended to provide a way of cheating at real photographic technique automatically – ie without you having to have much say in the matter. If you come on our beginners course you will soon learn that doing things properly is actually a lot easier than having to deal with loads of menus and bizarre functions. Therefore don’t be seduced by all the fancy gizmos and bells & whistles on the latest entry level cameras – you won’t, and probably shouldn’t, use them. Don’t therefore also be scared of what seem to be more ‘professional’ cameras. Better cameras are usually much simpler to use once you have some knowledge. If you can afford one, great, get one – we’ll soon show you how to get the best from it. The better cameras will also generally have more opportunity to customise how they behave, for instance many have buttons that can be re-programmed to different functions. As you develop in photography these customisable functions can be very useful in making the camera more suitable for the type of images you like to create. For example, someone that shoots a lot of fast paced sports action is likely to want to use the camera differently to someone that only ever shoots landscapes. So whilst most camera will most things pretty well, there may be very specific features that you want that can narrow down your choice. Things such as a tilt & turn screen or built in High Dynamic Range (HDR) mode may be more important to some people than others so make a note of any ‘must haves’. There really is no substitute for going to a decent camera shop and actually handling your shortlist of cameras. Ergonomics will play a big part in how comfortable and therefore confident you are with the camera. Are the buttons too fiddly? Does the layout of controls make more sense to you on one of the models than another? The entry level Canons have quite small bodies whereas the entry level Nikons seem to be more normally sized. If you have small (or large) hands this may dictate which one you prefer. If a camera is too big or heavy for you chances are that you will leave it at home. Also, look to the future. We bought entry level Canons way back in the day and have since purchased loads of lenses and accessories so we are pretty much locked into using their system. We are likely therefore to always buy Canons, not because we think they are better but because it would cost us too much to change our whole setup. And really it doesn’t matter because the equipment is just a means to an end – ie the method of capturing/creating an image. Consider which manufacturer is going to give you the best upgrade path and has the best selection of lenses and accessories for what you want. Currently Canon and Nikon have the most complete range of cameras, lenses and accessories. Other DSLR manufacturers are lagging behind a bit. That is not to say that their cameras are no good – far from it. It is just that if you are likely to want to buy a number of different lenses for different purposes then you may have limited choice. If, however, you just want a basic camera and lens and do not foresee yourself doing anything too extreme there may a bargain or two to be had from these other manufacturers, especially on the secondhand market as their relative lack of popularity means that secondhand prices are low. The mirrorless systems from the likes of Fuji, Panasonic and Olympus are relatively new and therefore the lenses and accessories available for these cameras are currently more limited than those from the big DSLR companies. As these systems mature however, they will catch up and possibly overtake them as the newer technology gains ground and I predict that eventually DSLR’s will be in the minority, especially if Canon and Nikon ever embrace mirrorless properly. In the meantime, if you are looking to become a serious photographer and want to explore all the great opportunities this hobby can offer, I would suggest sticking with one of the big brands, ie Canon or Nikon. I would also suggest that you spend more on your lenses than you do on the camera body. Don’t be seduced by great kit lens bundles. Although recent manufacturing advances have improved kit lenses beyond all recognition from many years ago, they are still not that great. If you can afford it buy a body and a better quality lens. Anything that the light passes through affects the image quality so the quality of your lens is really important. Also, if you buy decent lenses you can keep them and upgrade your body later if you want to. So whichever model you choose, make sure you come on one of our photography courses to ensure you get the most from your new purchase.